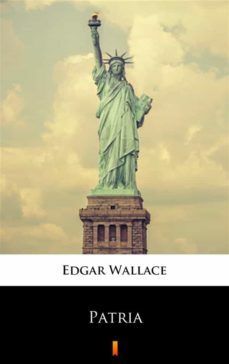 Edgar Wallace was a prolific author of crime, adventure and humorous stories, whose best known creations include „The Four Just Men”, „Sanders of the River”, and „J. G. Reeder”. In this work, the spies from Japan conspire to steal the Channing „preparedness” fortune and invade the United States, beginning in New York, then allying themselves with Mexicans across the border. They are stopped by the efforts of munitions factory heiress Patria Channing and U.S. Secret Service agent. Fast-paced, with good twists and turns, an unusual criminal scheme and a little romance. As the novel is rather short and quite fast-paced with a lot of scenery-changes and adventures, this nice. Highly recommended!